Lukas, S. B., American Society of Horticultural Science, “Building a new horticulture program in the Columbia Basin of the Western United States,” Las Vegas, NV. (July 24, 2019). Lukas, S. B., Qin, R., American Society of Horticultural Science, “Optimizing sub-surface drip irrigation in course soil onion production,” Las Vegas, NV. (July 23, 2018). 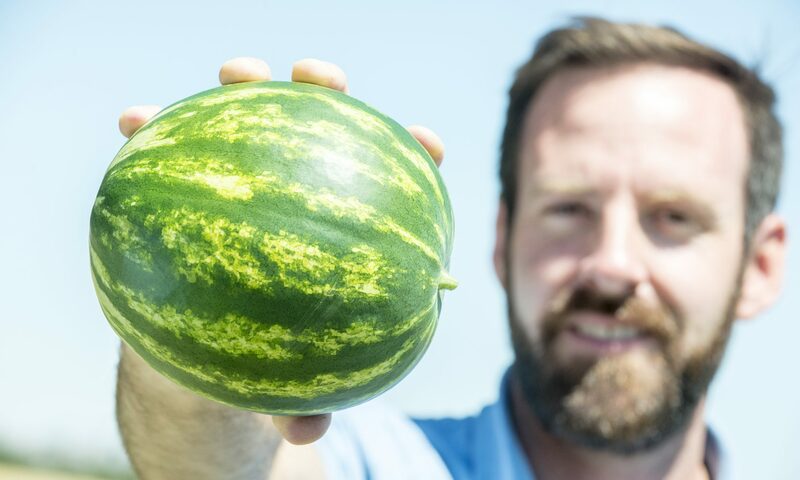 Lukas, S.B – Author & Presenter, Hermiston Farm Fair, “Pests and Diseases of Watermelons”, Hermiston, OR. (November 30, 2018). Qin, R. – Author & Presenter, Anderson, N. P. – Author, Walenta, D. L. – Author, Lukas, S. B., 2018 International Annual Meeting. ASA, CSSA, “Effects of trinexapac-ethyl plant growth regulator and nitrogen on Kentucky bluegrass seed production in the Colombia Basin,” Baltimore, MD. (November 2018). Lukas, S.B – Author & Presenter, Hermiston Farm Fair, “Managing Spray Drift to Maximize Efficacy and Minimize losses”, Hermiston, OR. (November 30, 2018). Lukas, S.B – Author & Presenter, Hermiston Farm Fair, “Managing Spray Drift to Maximize Efficacy and Minimize losses”, Hermiston, OR. (November 29, 2018). Lukas, S. B. – Author & Presenter, Washington State University onion field day, “Optimizing sub-surface drip irrigation in onion production systems,” Richland, Washington. (August 30, 2018). Lukas, S.B., HAREC advisory group meeting, “HAREC Horticulture Lab”, Hermiston, OR. (April, 18, 2018). Lukas, S. B., Hermiston Farm Fair, “Spray Safe: Review of the Pesticide Label and Methods to Reduce Spray Drift,” Hermiston, OR. (December 1, 2017). Lukas, S. B., Hermiston Farm Fair, “Spray Safe: Review of the Pesticide Label and Methods to Reduce Spray Drift,” Hermiston, OR. (November 30, 2017). Lukas, S. B., Columbia Basin Onion Research Committee (PNVA conference), “Evaluation of new chemical technologies for broadleaf weed control in onion production systems,” Kennewick, WA. (November 14, 2017). Lukas, S. B., Hermiston Farm Fair, “Use of Pesticides in Vegetation Management: Review of Product Label Sections and Chemical Drift,” Hermiston, OR. (December 2, 2016). Lukas, S. B., Hermiston Farm Fair, “Use of Pesticides in Vegetation Management: Review of Product Label Sections and Chemical Drift,” Hermiston, OR. (December 1, 2016). Lukas, S. B., Miles, C., Devi, P.*, American Society of Horticultural Science, “Watermelon field evaluation of fruit maturity for new and existing grafting methods,” Las Vegas, NV. (July 23, 2019). Rygg, M.** – Author & Presenter, Watson, B. *, Morris, L. R., Lukas, S. B., DeBano, S. J., Schmalz, H., Branch Experiment Station Internship Symposium, “Prescribed fire and forb cover in the Pacific Northwest bunchgrass prairie,” Corvallis, OR. (October 16, 2018). Kidd, C.** – Author & Presenter, K. A. *, DeBano, S. J., Schmalz, H., Morris, L. R., Lukas, S. B., Mitchell, S., Branch Experiment Station Internship Symposium, “Richness assesment of bee and plant species in agricultural vs. natural ecosystems in Northeastern Oregon,” Corvallis, OR. (October 16, 2018). Emerson, K.** – Author & Presenter, Lukas, S. B., DeBano, S. J., Mitchell, S., Schmalz, H., Morris, L. R., Branch Experiment Station Internship Symposium, “The effect of livestock grazing and prescribed fire on dynamic soil properties in a Pacific Northwest bunchgrass prairie,” Corvallis, OR. (October 16, 2018). McKnight, J. ** – Author & Presenter, Mitchell, S.*, DeBano, S. J., Lukas, S. B., Schmalz, H., Morris, L. R., Branch Experiment Station Internship Symposium, “The effect of soil compaction on native bee pollinators,” Corvallis, OR. (October 16, 2018). Emerson, K.** – Author & Presenter, Lukas, S. B. – Author, DeBano, S. J., Mitchell, S.*, Schmalz, H., Morris, L. R., Society for Range Management, “Management impacts on dynamic soil properties of a Pacific Northwest bunchgrass prairie,” Minneapolis, MN. (February 11, 2019). Rygg, M.** – Presenter, Watson, B. * – Author, Morris, L. R., Lukas, S. B., DeBano, S. J., Schmalz, H., Society for Range Management, “The effects of prescribed fire on forb cover in the Pacific Northwest bunchgrass prairie,” Minneapolis, MN. (February 11, 2019). Baldos, O. C. – Author & Presenter, Lukas, S. B. – Author, Defrank, J. – Author, Native Seed Conference, “Building a Portable After-Ripening Bucket for Relieving Dormancy of Small Seed Batches,” Washington D.C. (February 14, 2017). Shaw, G. (Author & Presenter), Lukas, S. B. – Author, Experiential Expo, “Evaluation of sustainable products to reduce fusarium wilt in watermelon production,” Oregon State University. (October 17, 2017). Branch, V. (Author & Presenter), Lukas, S. B. – Author, Experiential Expo, “Evaluating Subsurface Drip Irrigation in Onion Crop Production to Decrease Water and Nitrate Losses,” Oregon State University. (October 16, 2018). Emerson, K. (Author & Presenter), Lukas, S. DeBano, S. Schmalz, H. Morris, L. Experiential Expo, “Evaluation of Dynamic Soil Properties in a Pacific Northwest Bunchgrass Prairie Exposed to Livestock Grazing and Prescribed Fire,” Oregon State University. (October 16, 2018). Rygg, M. (Author & Presenter), Watson, B. Morris, L. DeBano, S. Lukas, S. Experiential Expo, “The Effect of Livestock Grazing and Prescribed Fire on Soil Compaction and Moisture in the Pacific Northwest Bunchgrass Prairie,” Oregon State University. (October 16, 2018).